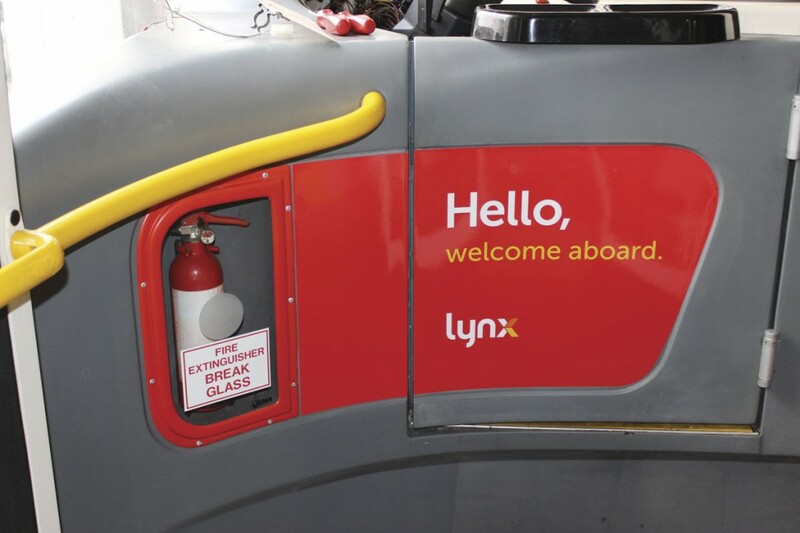 The livery has been applied to every bus in the fleet. 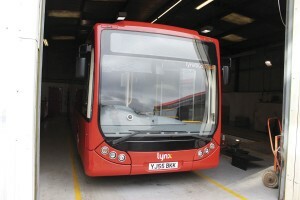 This 10.6m former demonstrator was acquired from Optare. The Lynx Tempos present a smart image. 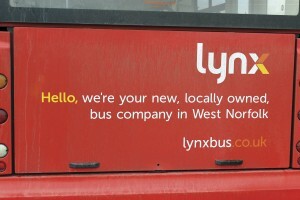 Coastal Red Ltd, trading as Lynx is a new bus company that began operating in King’s Lynn last month. The team behind it is Steve Challis, Andy Warnes and Julian Patterson though Julian only became involved at a late stage of planning for contractual reasons linked to his previous role as MD of Go Ahead’s East Anglian operations. You may be encountering a degree of déjà vu about that management line up because Andy, Steve and Julian were the team that in 1999 set up the highly successful Konectbus operation, latterly based in Dereham, though originally located at the former Norfolk Green depot in Saham Toney. Norfolk Green is now owned by Stagecoach but that link is perhaps slightly ironic because the first stage carriage service Lynx has introduced is on the corridor between Hunstanton and King’s Lynn, though the nature of the service is somewhat different to those the silver and green buses provide. 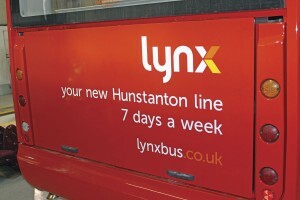 Just as Lynx is, Konectbus started in a small way with five vehicles. From that, and a couple of depots later, the fleet stood at 45 when in 2009 they were approached by the Go Ahead group with a good offer. 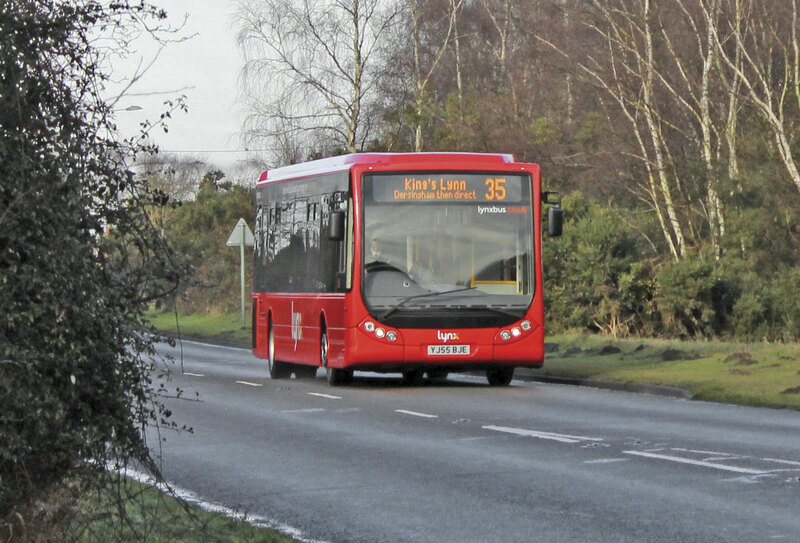 It wanted to build an East Anglian operation, and after completing the Konectbus purchase in March 2010 went on to purchase notable independents Anglian, Hedingham & District and Chambers of Bures. At the time Steve and Julian were happy to sell because they thought the time and price were right, although Andy didn’t really want to. In September 2013 Andy and Steve registered a limited company; Coastal Red Ltd. At that stage, Andy told me, it could have been any type of business, with consideration given to property and engineering, although the possibility of a new bus company was always there. Julian was not involved at this stage and was not a director. Despite having said he would never run buses again, Andy realised that while his head said no, his heart said that running buses was the only thing he could do, though preferably for himself rather than someone else. As thoughts began to crystallise, the focus fell on King’s Lynn and West Norfolk partly because they both lived in the area. Norfolk Green, the main operator in the area, was on the market at the time, and was sold to Stagecoach in the December of that year. Talking about his competitor Julian said, ‘Ben Colson had built it and the network up over a period of years and it had done very well. Bus services in West Norfolk wouldn’t be what they are if it wasn’t for Ben and his team at Norfolk Green. Unlike the rest of Norfolk there wasn’t really a lot of competition; most key routes in Norfolk have two operators on them.’ It was against this background that Andy and Steve thought there might be an opportunity coming up, and in the spring of 2014 they decided to go for it. Locating suitable premises proved a challenge because although there are many industrial estates in the King’s Lynn area, most of them are full of office buildings. What they needed was something much more flexible with a workshop capable of taking a double decker. After some time looking a base on Acer Road was spotted. 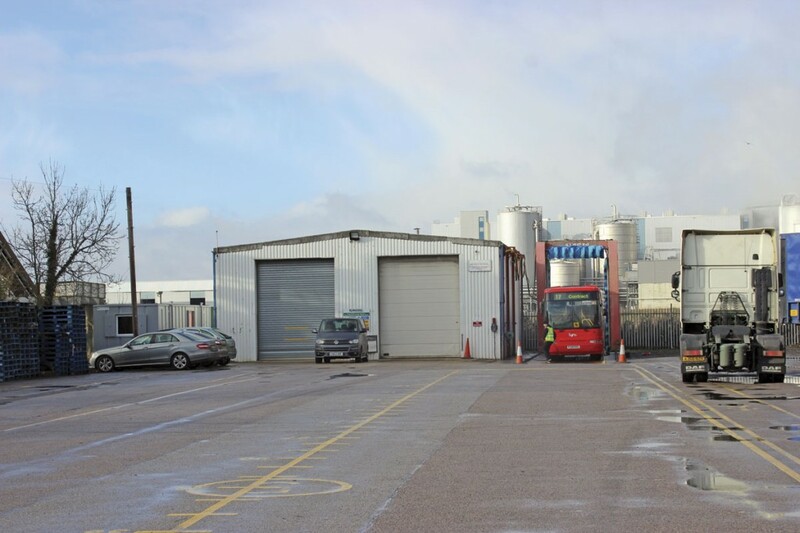 This rented facility is at the rear of a secure haulage yard and includes a modern two bay workshop and a wash bay facility as well as parking. A couple of portable buildings were later brought in to provide office, mess and stores facilities. Andy explained that the process of getting a licence proved rather more drawn out than anticipated but one for six vehicles was finally obtained in September. 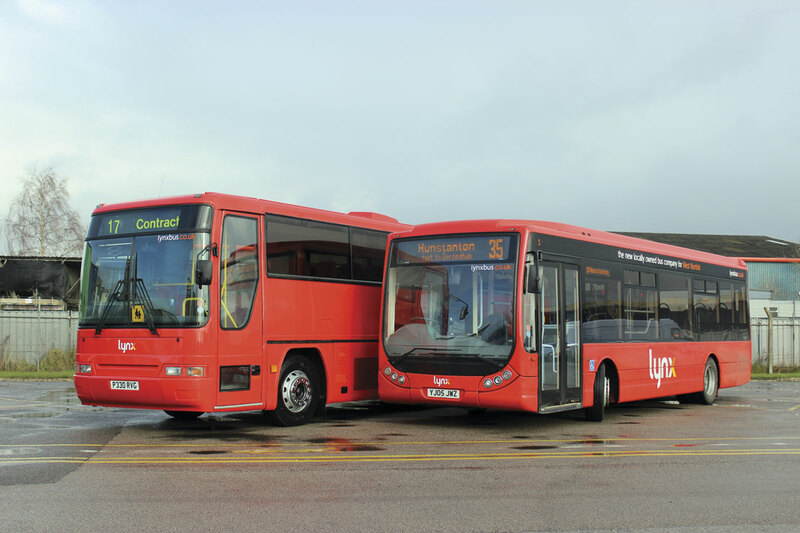 In May 2014, the two Coastal Red directors had bought an Optare Tempo they saw advertised. 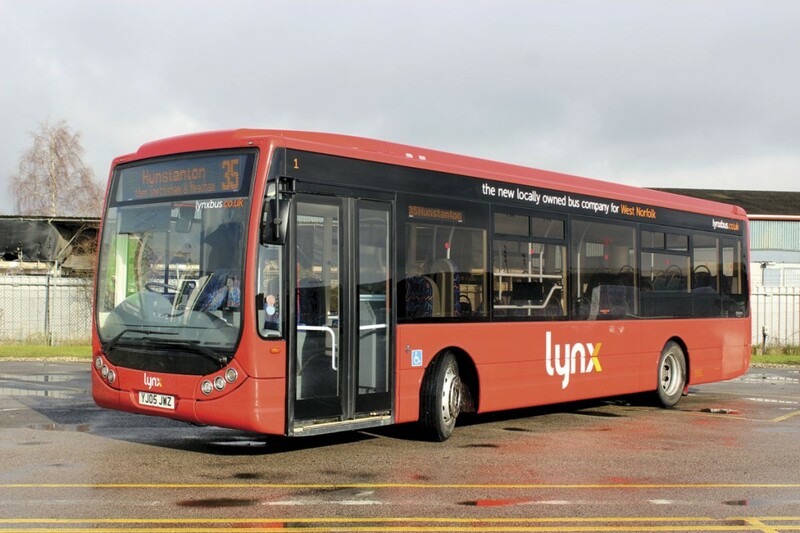 Acquired from Pygalls of Peterlee, it was a 12m example with a 55-plate that had been new for the Welsh Government funded Traws Cambria operation and had served with both First and Arriva on that network. 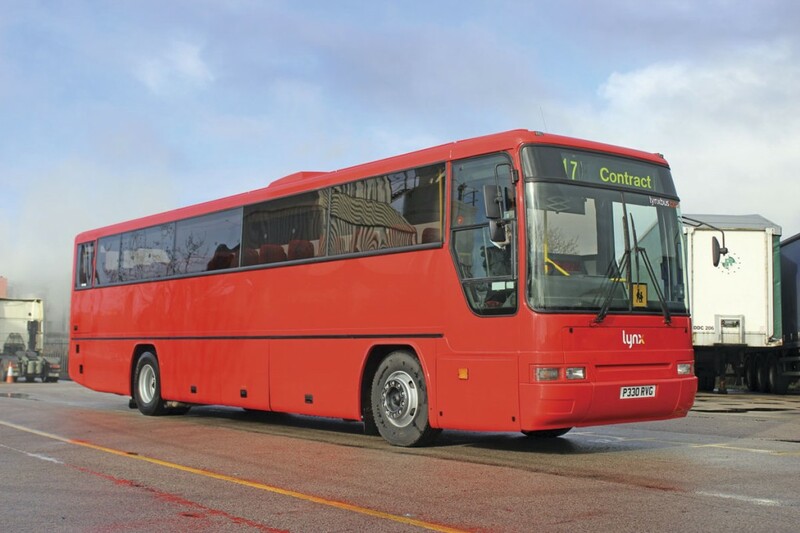 In the August, a second Tempo was purchased, this time a 10.6m single door bus purchased direct from Optare. 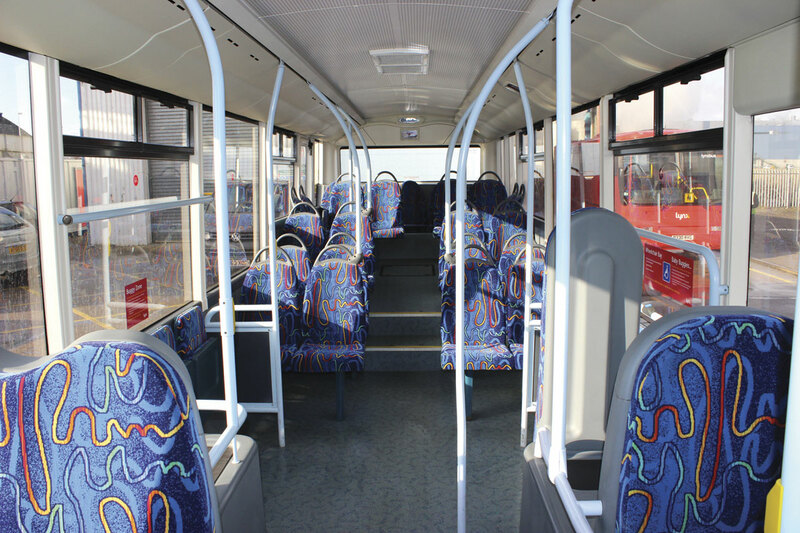 It had been a development bus, had chassis number two and was one of two Tempos that were unveiled at the launch of the Tempo model. Tempos were in many ways the obvious buses for the company, indeed Norfolk is something of a stronghold for the model. Konectbus had built up a fleet of 14 new and two secondhand examples while Norfolk Green has a considerable number too. Konectbus had always found them economical to operate (returning up to 9mpg depending on route) and both drivers and passengers liked them. Once the premises had been located a further two ex Traws Cambria buses were acquired from Marchants at Cheltenham during September. Although at this stage the plans to operate were still somewhat speculative, the directors were confident that with DDA fast approaching the buses they had acquired could easily have been moved on again if necessary. Julian handed in his notice in the spring at Go Ahead and continued working for them until it expired in mid November, rejoining his old colleagues a few days later. He has since become a director. The fact that King’s Lynn is a considerable distance from his former employer’s main operations ensured he would not be treading on their toes. ‘There’s plenty of opportunities round here,’ he said. 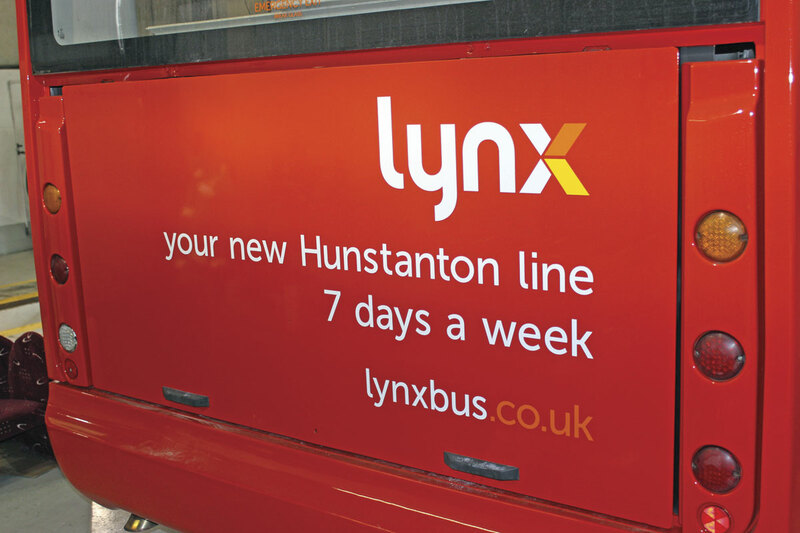 The route runs from King’s Lynn via South Wootton, Dersingham, Ingoldisthorpe, Snettisham and Heacham to Hunstanton. Departures from King’s Lynn start at 06.25 and are hourly thereafter until 15.25 whereafter there are departures at 16.10, 17.10 and 18.10, the final one arriving in Hunstanton at 19.00 and returning at 19.10 to arrive back in King’s Lynn at 20.00. Impressively, provision is seven days a week, with only the first and last journeys of each day dropped. There are discounts for young people in the 5-15 and 16-19 age brackets and for those who have concessionary passes but want to travel before the 09.30 start time on weekdays, showing the pass will earn them a one third discount on a single fare. Further flexibility comes in the return portion of a day return ticket being valid for a month. Although registered as Coastal Red, the likelihood is that the company will operate services that are not coastal at some stage, so a different trading name was sought. A lot of ideas came up before they settled on Lynx which combines the Lynn of King’s Lynn with the suggestion of providing links, and a fast feline. It might also suggest an attractive aroma but hopefully won’t drive women wild. The red colours were chosen because nobody else in the area uses them. Andy likes Volkswagen cars so VW ‘Mars Red’ was chosen as the shade; any similarity to the ‘Poppy Red’ of National Bus Company days, as worn by some of Julian’s preserved buses, is of course entirely coincidental. In addition to the owners who include Julian’s partner Jenny who also worked at Konectbus, five driving staff have been taken on, among them Dave Sherwood who was one of the original founders of Norfolk Green and Graham Smith, formerly Commercial Manager at Go Ahead East Anglia. A lot is expected of staff and Julian sees keeping them motivated as highly important. ‘You need to know and support staff so that they feel valued, part of the team and not just a number,’ said Julian. Uniforms are black blazers, white shirts, black coats and ties sporting the distinctive Lynx emblem in red. Feedback on it has been positive. 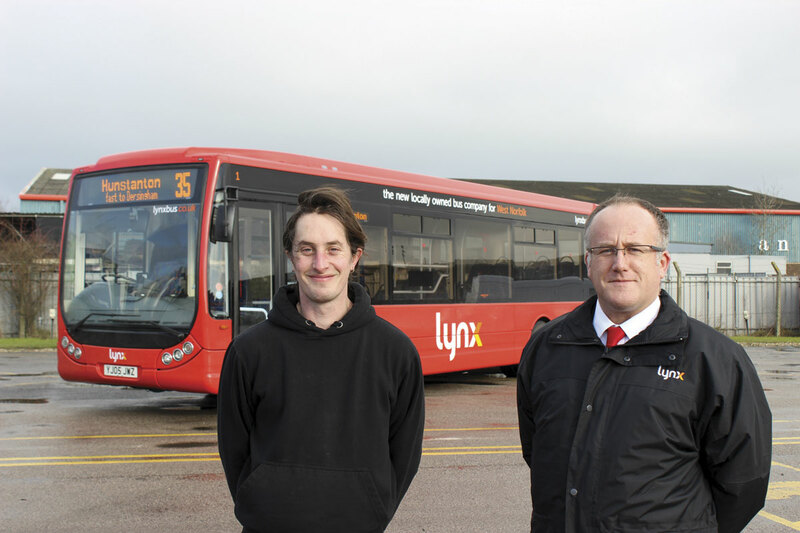 Bus operations began on Monday 26 January and one of the first passengers waiting was none other than Ben Colson, checking out the new competition to the business he built up. Although the PVR for the service is two buses, at present there are some temporary traffic light problems in King’s Lynn and three buses are being used to aid reliability, something that shouldn’t be necessary after the end of the month. ‘Then we’ll have two spares and look to develop the route or seek other opportunities,’ said Julian. Marchants’ remaining two Tempos are also due. 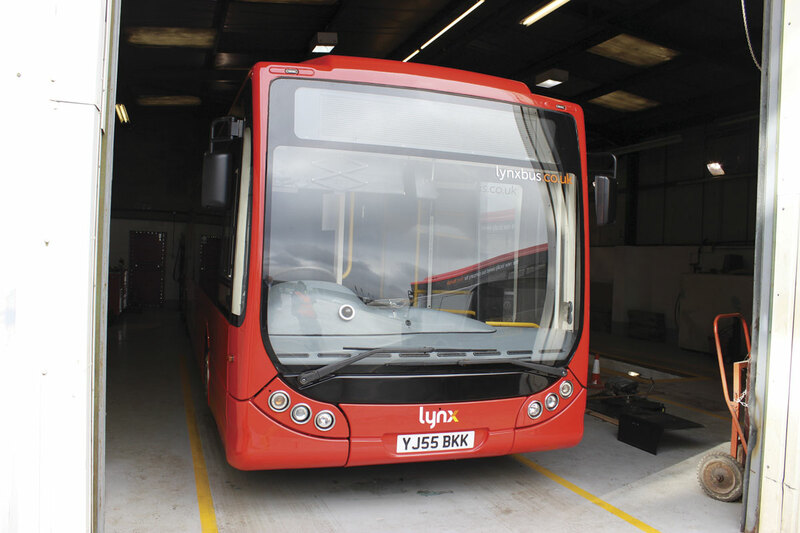 Another challenge is the redevelopment of King’s Lynn Bus Station which will take until the end of June. 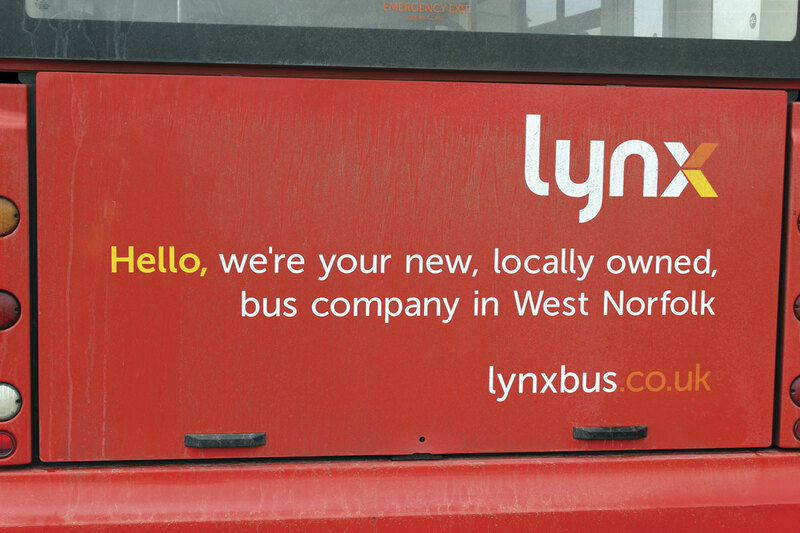 Conceived as a bus company, Lynx also has a coach, although as Julian points out, ‘it is a very bussy coach’. A Volvo B10M MkIV Plaxton Interurban with full destination equipment and provision for eight standees new to First Eastern Counties in 1997 for use on the X94 Norwich to Peterborough service, it had been with Rambler of Hastings. Its purchase, while perhaps slightly sentimental, was prompted by the potential for using it on rail replacement work, though Julian lamented that in this respect West Norfolk seems to have the most reliable trains in the country. Rail replacement work might not be plentiful but shortly after it was purchased an emergency school tender came up between Southery and Downham Market Academy. This was won for two and a half years. Andy worked over Christmas to prepare the coach for the contract which started on 6 January. Bought speculatively but now committed to a two and a half year tender is this 1997 Plaxton Premiere Interurban 320 bodied Volvo B10M which was new locally to first Eastern Counties for the X94 Norwich – Peterborough service which has now developed into the X1. ‘Sometimes you make your own luck,’ said Julian. ‘If we hadn’t bought it for rail replacement we couldn’t have taken on the school contract at such short notice. I wouldn’t rule out getting other coaches if other school contracts came up, though we won’t be buying any more speculatively. 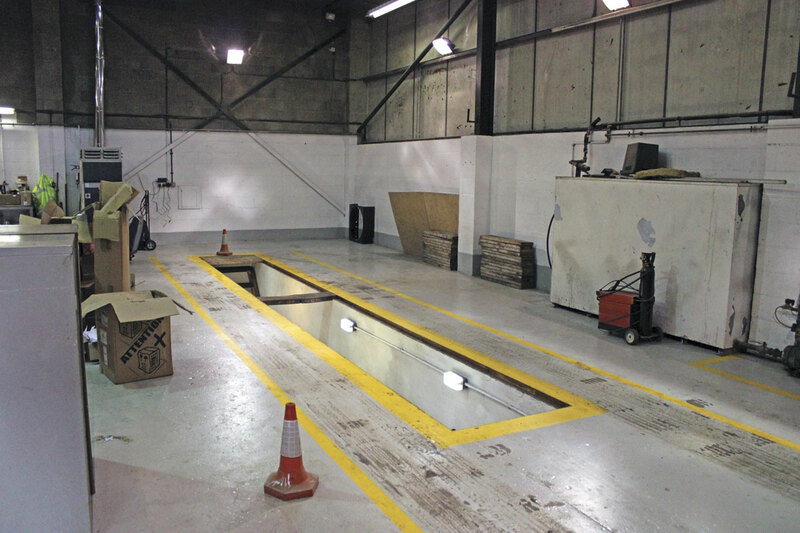 We’re not in the private hire and tour market.’ With a Commercial Vehicle training business located in the same yard, an occasional extra source of revenue for it is for PSV training duties as it is equipped with ABS. As part of DfT/Norfolk County Council smart ticketing pilot scheme they were supplied with Ticketer ticket machines. They did not have to pay for them but forfeit the 8% BSOG uplift that they would otherwise be entitled to. There is an option to opt out of the scheme after 12 or 24 months and receive BSOG is they feel they are losing out. Julian was very positive about them on the limited basis of less than two weeks’ experience. ‘We’ve used various machine suppliers over the years and these are the best we’ve had. All the information is instant. It is Cloud based and you can sit and watch every ticket being issued. You can see it on your mobile too. It includes GPS so you can sit at the side of the road and see what is going on. The machines themselves might look a bit unconventional but it’s all good. It is also a reliable way of messaging drivers that eliminates the temptation for them to text. So far it has done everything it says on the tin which couldn’t always be said of previous machines. The back up is excellent. I don’t often recommend things but I would recommend Ticketer,’ said Julian. OK nice reading other bus routes to consider. 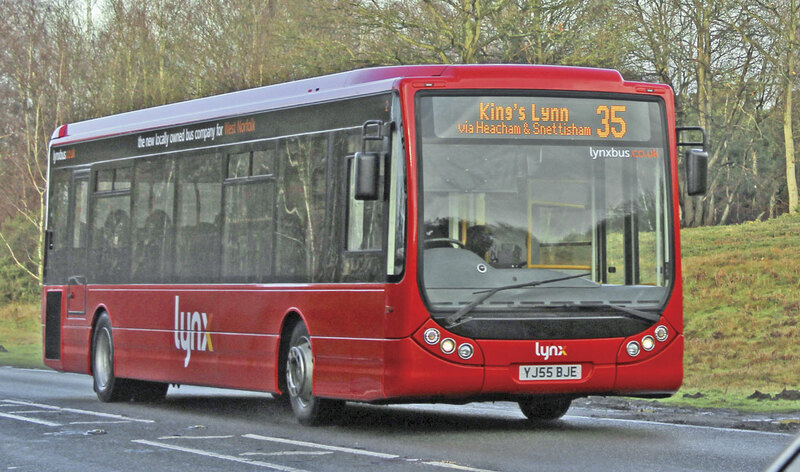 In the days of the old 35 we had a bus from Heacham to Norwich one day a week that would be nice and it would be used I can tell you save us having to go into Lynn. Also a bus from Heacham(or Hunstanton) via Ringstead, Docking and Bircham, Hillington into Kings Lynn. The residents of those villages have no bus whereas in the days of the old 35 a bus used to do that route. All up for your consideration.